Level Design - Kev-Art.com Art portfolio for Kevin Massey, game artist. What started out as a simple challenge to make a platforming puzzle game with an interesting story for my friends to play quickly developed into my most ambitious personal project so far. I was creating a multitude of contraptions and obstacle courses in the Farcry 2 Map Editor which is a simplified version of the engine Farcry 2 was built in. After learning how to push the constraints of the map editor beyond it's intended multiplayer free-for-all and team arenas, I began constructing an environment that would support my campaign-length platforming story! My first challenge was to bring motive for a player to progress in my vision of the game without requiring multiplayer, A.I., scripting, and weapons. Inspired by games like Amnesia: A Machine for Pigs and Bioshock Infinite, it was not long before I found myself building a grand scale comedy action adventure using limited assets and triggers. And so, the Riverdam-Dam trilogy was formed with a cast of hilarious characters and circumstances! Set many years after the events of Riverdam-Dam: Dambition and Riverdam-Dam II: Damnation, Riverdam-Dam III: Damnatory takes the player on an epic quest to finish the work of your grandfather, the Dam Inspector and solve the mystery behind the greatest dam ever constructed. Aided by Quadruple Agent Molly Derpina and the illusive Agent Rice, you will overcome obstacles in a game full of puzzles, hostilities, and a story of Dambitious proportions! 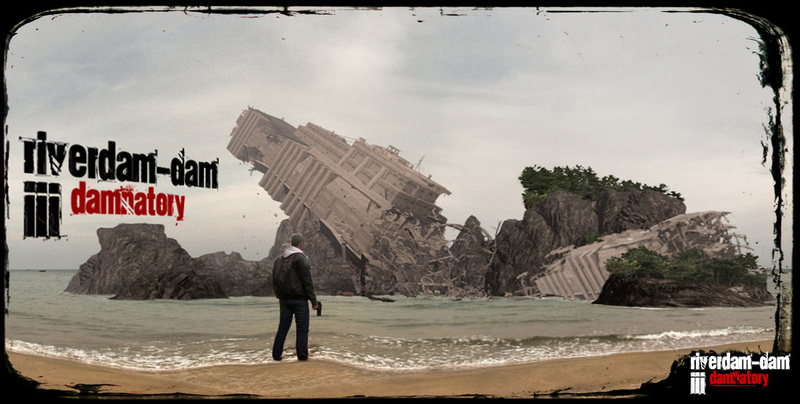 Welcome to a colorful world where bankrupt politicians play for power over crumbling facilities, cult-like mentalities drive continuous production of fishing boats, and a giant dam casts a shadow over the fate of humanity. 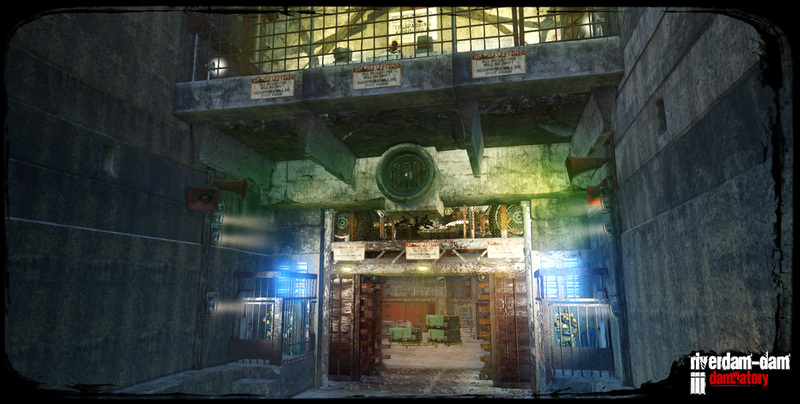 The first game opened with a briefing mission that included a crude movement tutorial and miniature construction of the Riverdam facility. It was desirable to include it in the third game as a location you traverse through years later. Although there are several hints, it isn't until the 5th level the Player discovers that the game is officially set at the same location as the first game. It is a shocking discovery complete with epic opera soundtrack. 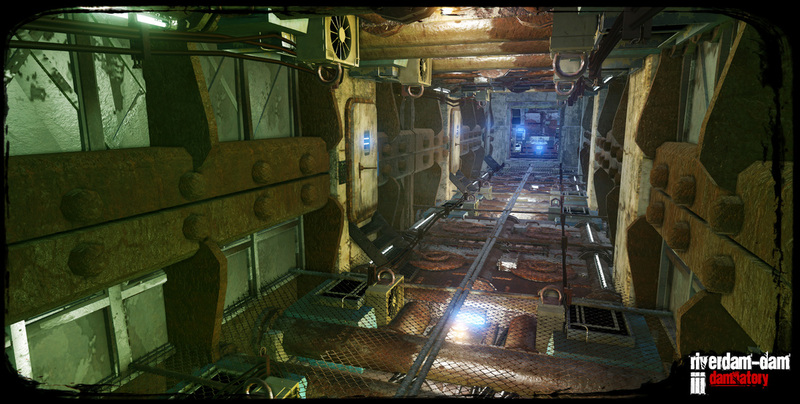 Crafting environments for a third game in a trilogy provided me with immediate challenges. 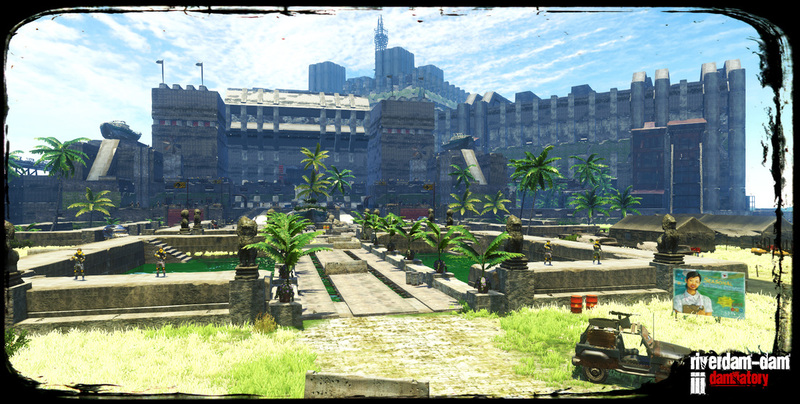 The story would be taking the player to locations originally introduced in the first game while opening new areas to explore. 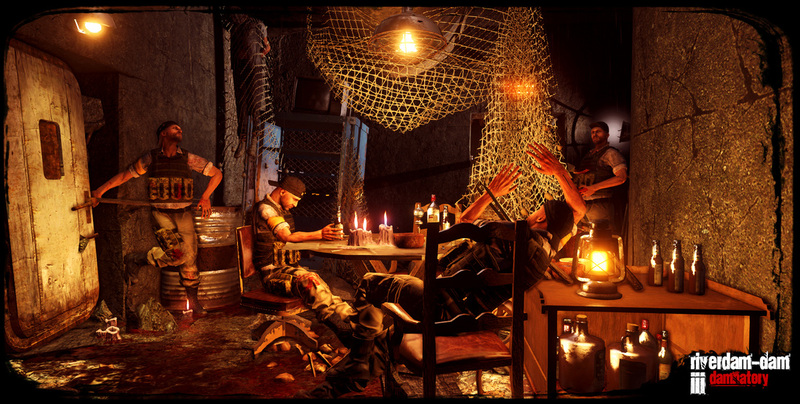 The gameplay was much different than the first two games because of the added shooter element. This time I would be focusing on less vertical platforming and more vistas separating action sequences from stretches with puzzles. My primary objective was to answer questions left by the first two games and introduce a new overarching conspiracy that I knew the players would find shocking. As there are no scripted sequences driven by code, I had to rely entirely on building the story visually with the environment and reinforce contextual plots with prerecorded audio logs (similar to Bioshock). Since the levels were my storytellers, I had to carefully craft where the player was guided to and what they would learn as they traversed from one location to another. And of course to players familiar with the series, the main antagonist in this story is the dam itself. I had to find a way to make the dam motivate the player even though it is not a sentient being. Since the levels were being constructed in a newer game engine with different assets, I had to recreate all of the locations that would return. 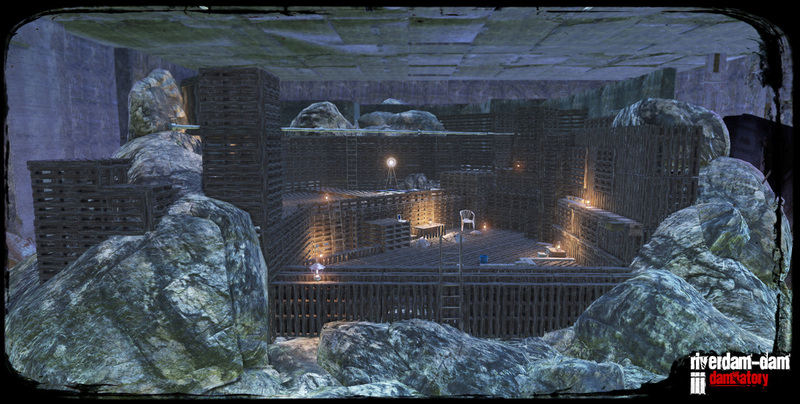 This included various miniatures such as the Riverdam-Dam model (TOP LEFT) constructed from pallets in the first game as it was a very iconic structure. 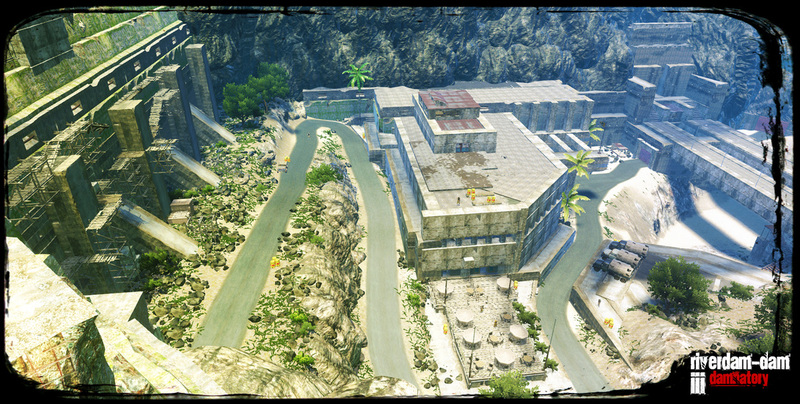 Additionally, Farcry 3 Editor does not support exporting groups of assets, so any created structures using the limited assets in the editor could not be copied from one map to another. This meant that I had to carefully plan the order I built the levels as structures appearing in multiple maps needed to be built first so that the file could be duplicated for each map it was present in. A perfect example is the player's home which is in the first level following the introduction. The map is called 02_Inspiration. The player's home is visited much later in the game where it is being raided by enemies in 11_Infestation. The player's home is seen once more near the end of the game after being transported to a science lab via mysterious means in 17_Inconnection which also features a crashed version of the iconic blimp, Damnation, which was boarded in the previous level, 16_Inconvincible. All four of these maps were originally created from one map as they shared complicated constructions. This was a massive obstacle I was able to overcome with careful planning and organization of the twenty-one levels in the game. 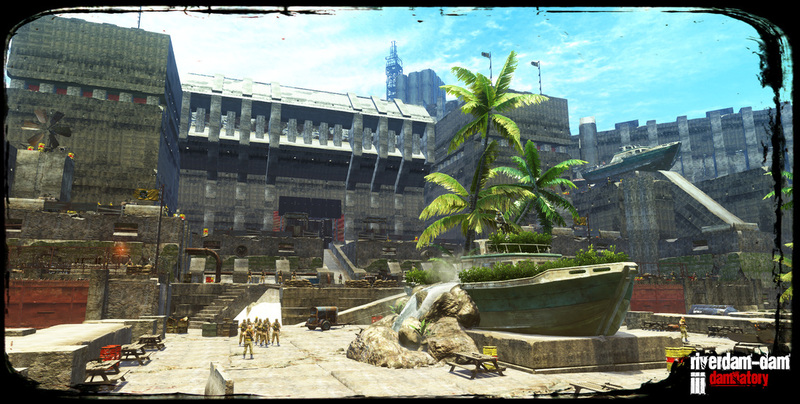 The plot centered on this facility as seen from the first game. It had to be recreated for the third game. 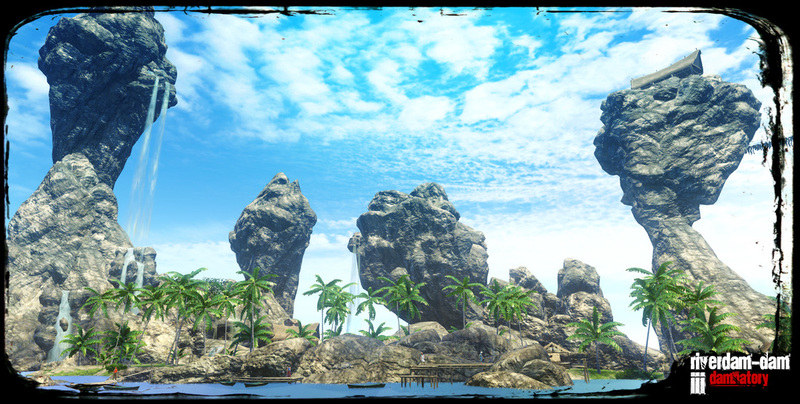 This platforming vista best communicates the mood of the game, which is why the setting is used on various promotional posters. The level itself, however, varies greatly from claustrophobic canyon walls, flooding valleys, zip-lines, to terrifying underground rubble straight from a nightmare. 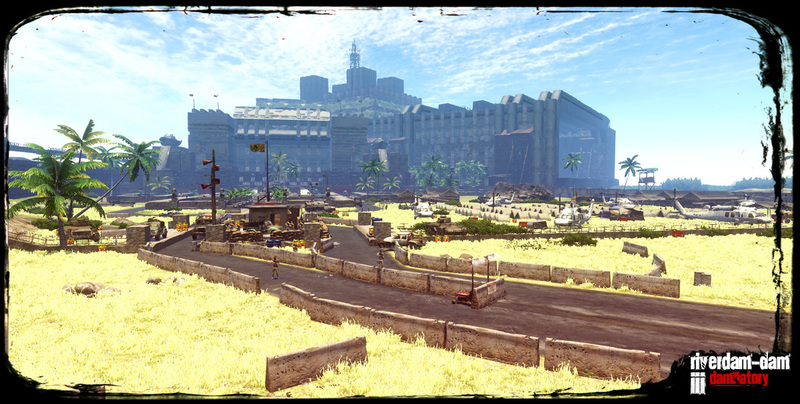 It was the most commonly play-tested level as it incorporated elements of the entire game in one map. This is a recreation of the Riverdam-Dam Visitor Center introduced near the end of the first game. The circumstances of the visit are much different, making this an exciting opportunity to explore some backstory on the dam. This is a stretch of level between two violent encounters. The player is traversing through a mix of sewer pipes and on wooden structures that populated a majority of the platforming from the first game, reinforcing the same universe quickly. 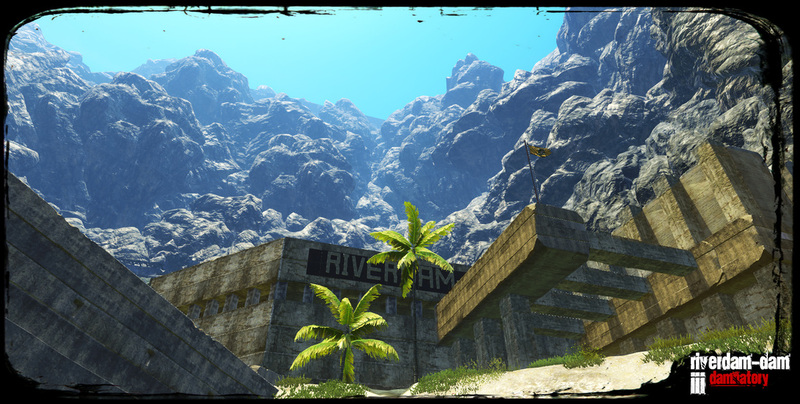 Riverdam-Dam III is story driven and the environments are built to support it. The game area is constrained to a layout similar to the previous titles, but the player lineally progresses through them in a way that makes the experience entirely original. There were several elements that were expected to reappear, but the timing and situation were a complete mystery, giving the player plenty of motivation to see what was around the next corner. I used this as a way to feed the plot and character development via audio logs left on unavoidable laptop computers. All 65 audio logs in the game have their own thumbnail that can be matched up in the game levels, allowing the player to listen to them as they are found using a web browser. The Boat Fountain in the park is one example of many beautiful structures that populate the game. It utilizes organic and machined objects, vegetation, water, and lighting. Having just climbed through a short sewer puzzle, the player encounters his first forced hostility. The enemies from this point are grouped in pairs or groups. Occasionally the opposition is large enough to encourage tactical assessment before jumping into action. Riverdam-Dam III is jam packed with exciting action, hilarious character development, and stunning visuals. I found it important to build a pacing throughout the entire game to keep the player engaged without being tired out. My game cycles through an inconsistent formula of environmental puzzles, platforming, vehicle commuting, conflict zones, and an occasional observation point to catch up on the player's role as a dam inspector. My greatest inspirations for this were games like Portal 2, Bioshock Infinite, and Amnesia: A Machine for Pigs. 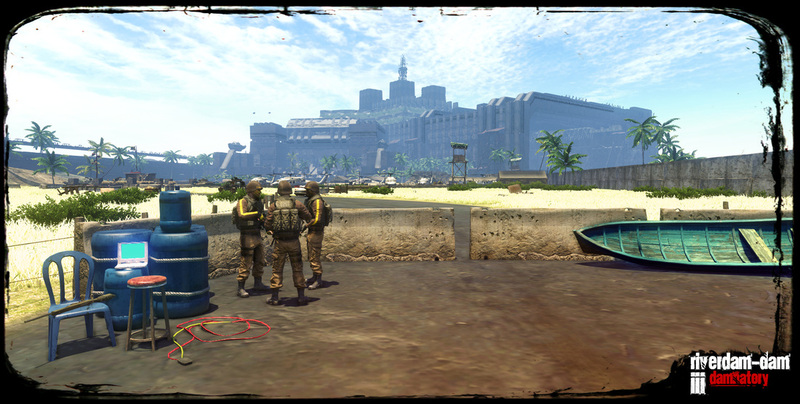 Traveling from Right to Left, the player experiences a great vista, encounters a squad of enemies through the visitor center, and platforms up a large concrete wall. This illustrates the variety of elements found in one short segment. 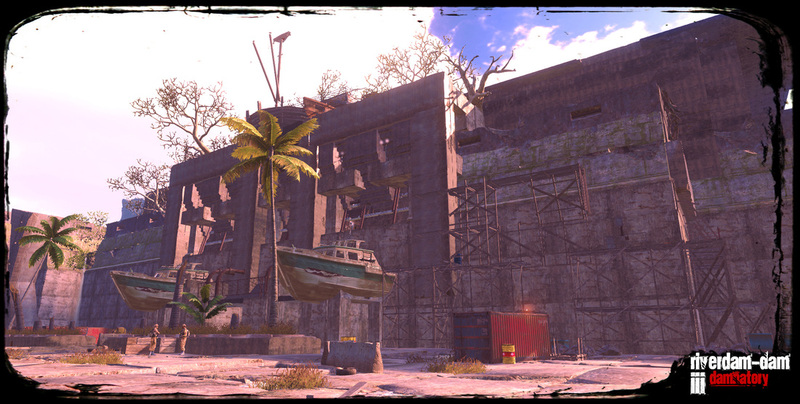 The Fishing Boat Factory was an icon to the plot of the second game as it housed the Damnation Blimp. I was challenged to make the familiar building as epic as the last while constrained to the limited room of the map. The park in front of the Fishing Boat Factory serves as an arena against over two hundred opponents. The battle isn't meant to be a big challenge as the player is feeling almost invincible. Careful planning in design allowed the battle to be action packed without overwhelming the player. 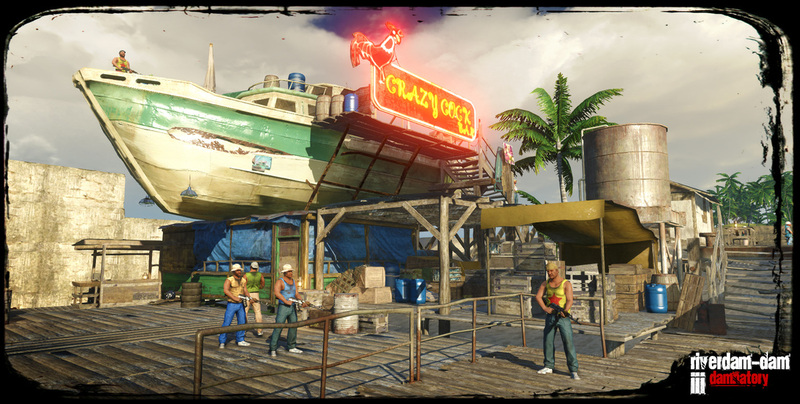 Any survivor of the epic battle to the Fishing Boat Factory will tell you that this was a memorable event where they survived over 200 enemies using wits and skills. The reality is far more complicated as the fight is largely controlled by hidden elements that favor the player. 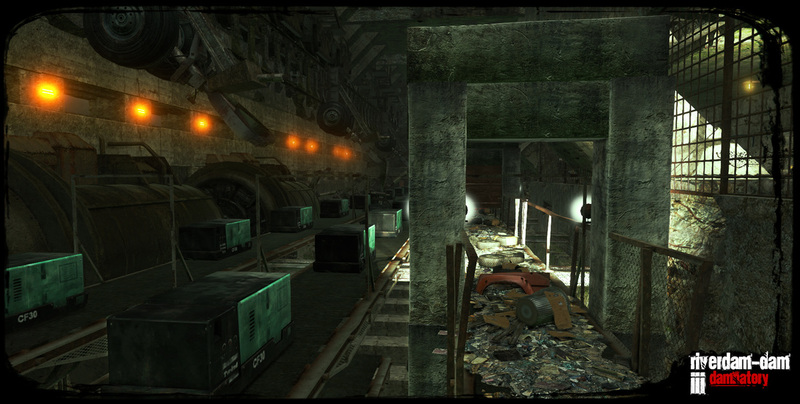 Some of the levels in the game were more cinematic. The first half of this one introduced many characters that were known from past audio logs. One in particular is the champion who monologues from atop a stack of burning luggage. The interior decor of the dam itself changes based on who had the section built. The time between the first and third game's antagonist created an area known as the Family Gap. 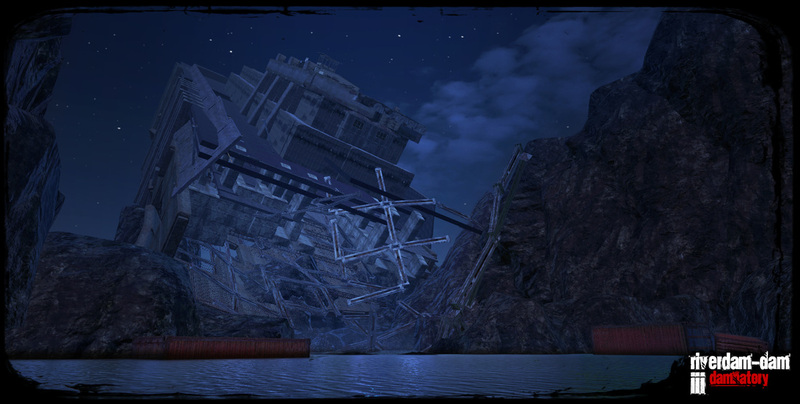 This haunted and growing layer of dam is a frequently visited zone and needed to represent the unnamed danger that was driving the plot into the realm of insanity. This short yet detailed and cluttered corridor is your last chance to turn back before facing a boss in a continuously exploding arena. It is a fun encounter where the player dances around a pyromaniac as he ignites the bridge of the Damnation Airship. Armed with only a 9mm handgun, the player must move from one location to the next while dodging streams of flaming death and exploding terminals, though much of the fireworks is just for show. One of the most exciting maps is a stationary naval battle. The ships don't feel stationary as the player is constantly using zip-lines to bring the action to the enemy while defending a lone allied vessel. Though the level presents several movement options, the overall progression remains the same. It really does feel as though the ships are dynamic as a third unbeatable faction joins the fight, lobbing dozens of drunken missiles per minute into the battle. A recreation of the Office of Mr. Perkins, the villain of the first game, this setting expands on the original as the player has access to the interior lobby that was restricted before. In one map, the player is escaping a giant airship as it tumbles out of control. I created the illusion that the airship was falling by progressively tilting segments of the level at a rate that was unnoticeable to the player until their movement was very disorienting, forcing them to traverse the walls instead of the floor. While boating down a rapid river on the mountain, the player encounters the back half of the airship, Damnation. 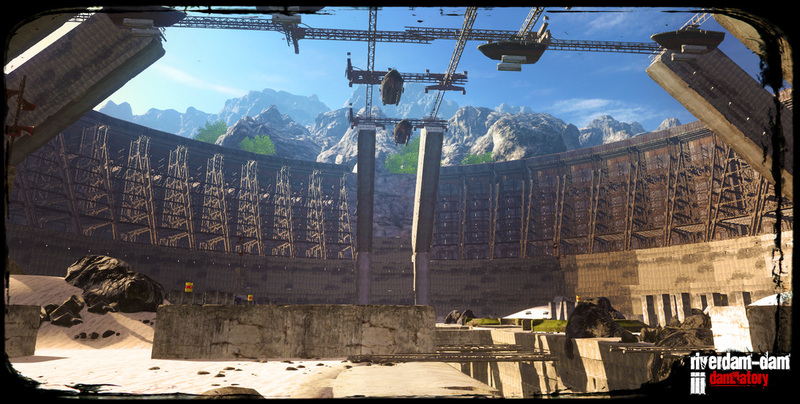 Its enormous scale shadows the rest of the map as the player searches a way to gain entrance to part of the dam facility. 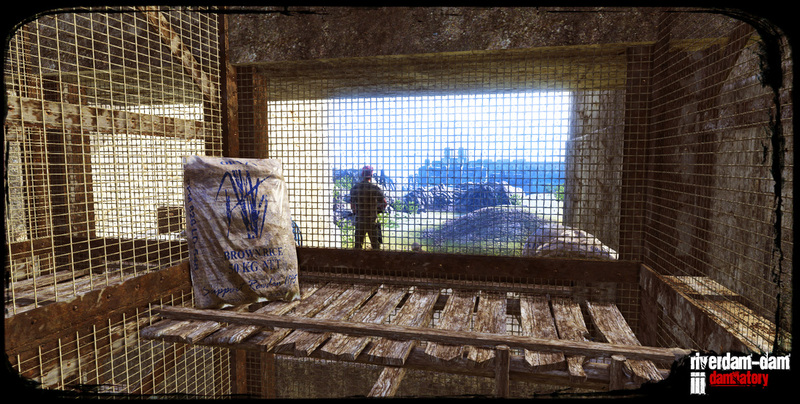 These are considered large vista props that the player uses for orientation and a sense of progression. All of the bosses in the game require some extra thinking on the player's part. This particular bottomless chamber found the player armed with only a flare gun. Stationary pyrotechnics keep the player from progressing while a pair of rocket soldiers put on the heat by firing explosive projectiles aimlessly. A well-placed flare sets off a chain reaction that theatrically destroys the chamber, tossing the monologist boss into the void below. 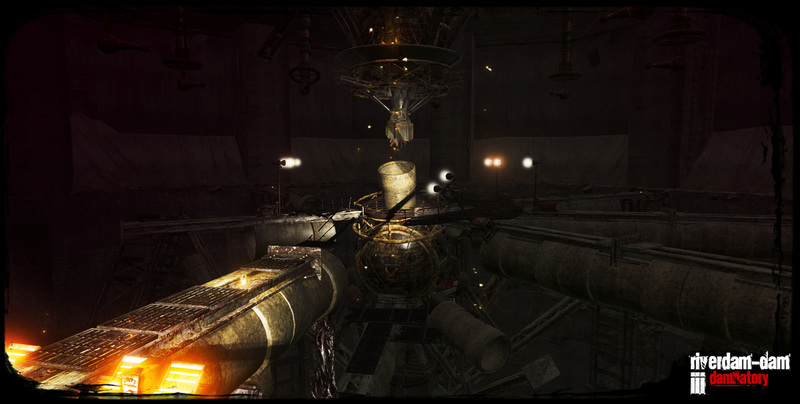 Near the end of the game, the player revisits several key locations including a boss chamber that has fallen prey to the growing horrors of the dam. 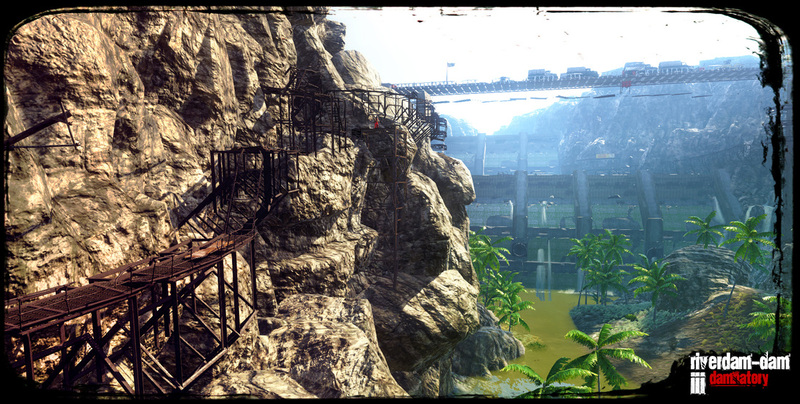 Rather than recycling maps to save time, the environments served to create a sense of plot progression. What was once a boss chamber is now a dark platform puzzle with shadowy hostiles. Most of the important characters the player interacts with has a role to play that is bigger than it initially appears. For one bartender, it meant a constantly reinvented business. Because of this, and his role to the rest of the series, he faithfully appears in all 20 of the maps following the prologue though he is sometimes hard to spot. 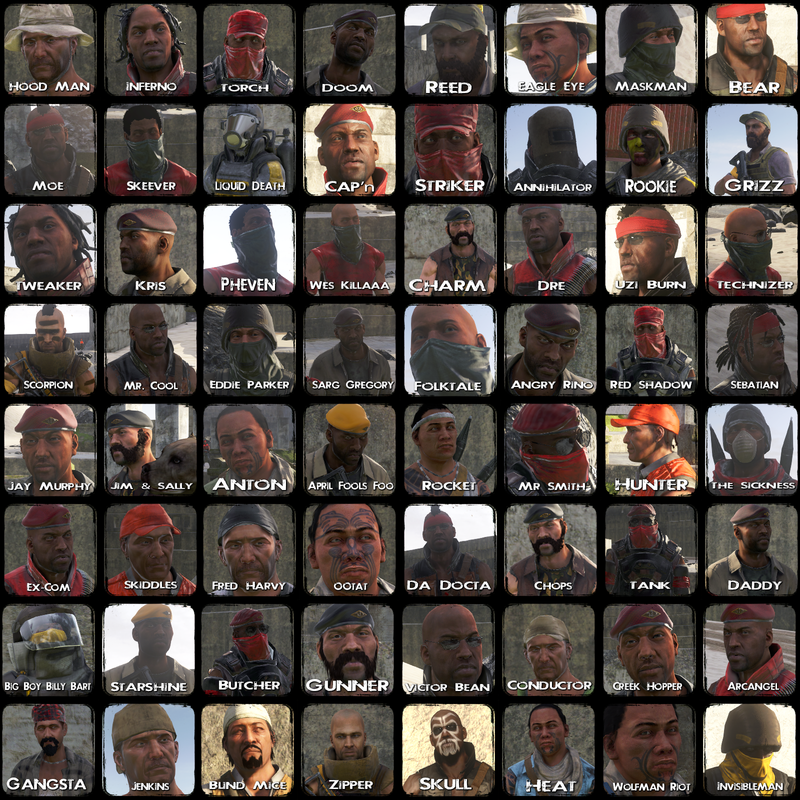 When the enemy is exploding by the dozens, the player is at a peak in confidence. They are rewarded with the door that progresses the plot and introduces literal elements that were joked about in the first two games. The goal was to make a mind blowing discovery that would forever change the experience of the entire series, and the goal was greatly achieved! 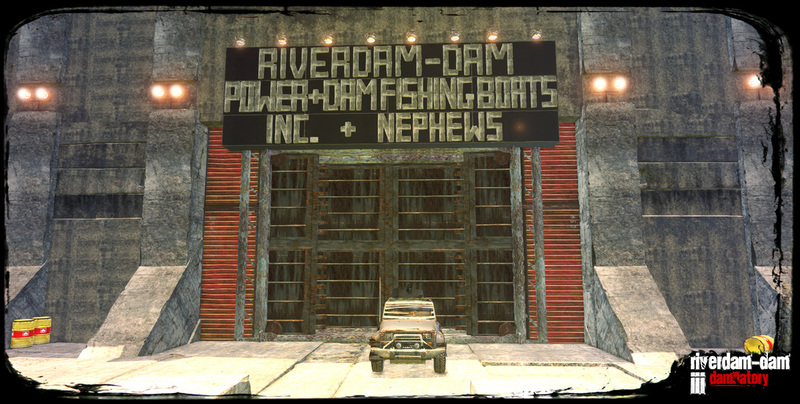 "My most memorable moment while playing through Riverdam-Dam III has to be when the Dam Inspector's grandson discovers just how literal President Perkins' words were in his recording where he declares the fishing boat production must never stop. Within the fishing boat storage bay my mind was blown as I looked out into a sea of fishing boat containers piled high within the giant room. To make things even more ridiculous, this storage bay was designated a number so you just knew there must be even more fishing boats out there and stored away!" 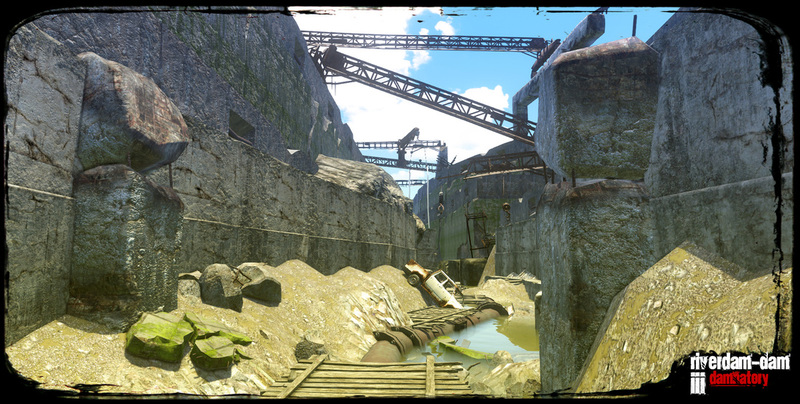 The Dam Inspector's Grandson (Player) overlooks the wreckage of Damnation. This was a part of a 360 projection. In preparation of a fourth and final installment of the series, I created a unique environment for the canonical ending that would be able to be reconstructed in the newer Farcry 4 Map Editor as the story would resume in the exact place that it left off. I am prepared to raise the bar in every aspect of the series for the final game. This means more returning voices and new characters, bigger symbolic environments that are fresh, and most importantly, a story that connects the already connected series with a few more plot twists that will again change the way a player will approach the Riverdam-Dam series! 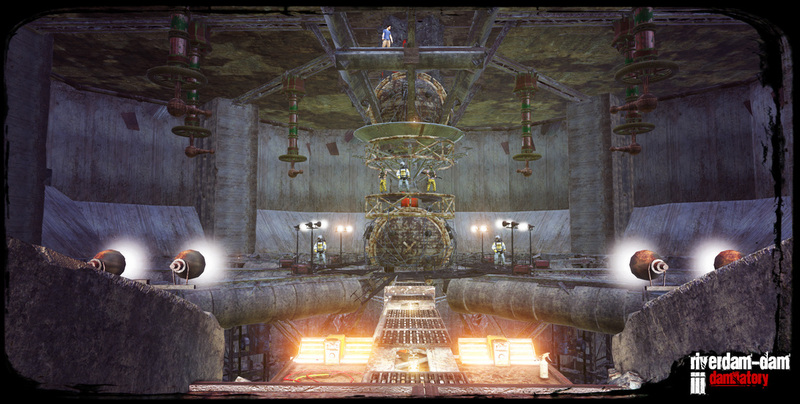 The constructions in the game are created by merging various unrelated props together. For a particular door (visited three times in total) I wanted it to be detailed, armored, and have several security measures. The door itself consisted of metal boat flooring, fencing, commercial aircraft landing gear, metal pipes, structure beams, sewer tunnels, concrete barricades, bug zappers, telephone poles, and a spinning ceiling fan. At various points of the story, the player travels through areas that are unmistakably associated with the Family Gap. These segments get progressively longer and creepier, eventually becoming a monster spawning nightmare. To ensure these areas stay true to a theme, I reserved numerous elements specifically for these areas. This included eerie ambient sounds, high contrast lighting from artificial sources, and animated props that could interact with lights to cast dynamic shadows. Specific props were consistently common to communicate the idea that you were indeed within the Family Gap. 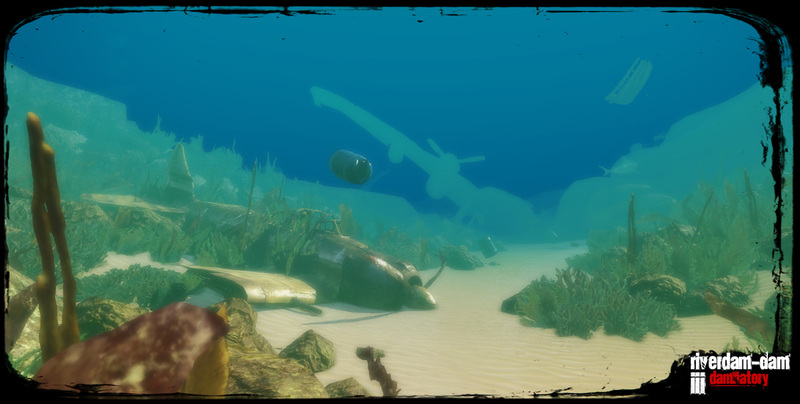 In one map following the defeat in naval warfare, the player swims along the ocean floor that thrives with passive activity. The level is constructed in a way where the player progresses without a clear objective. It becomes natural to follow a series of suspended blue containers that guide the player through twisting ship wrecks, caves, and across massive canyons. 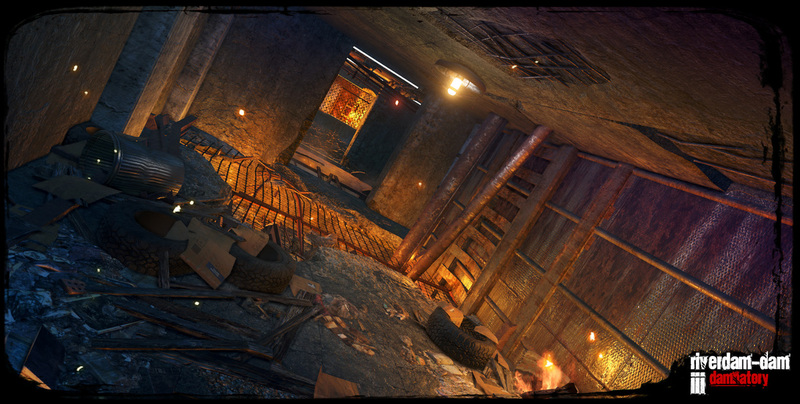 Throughout the level, vehicles, debris, and bodies sink from above to rest on the floor. 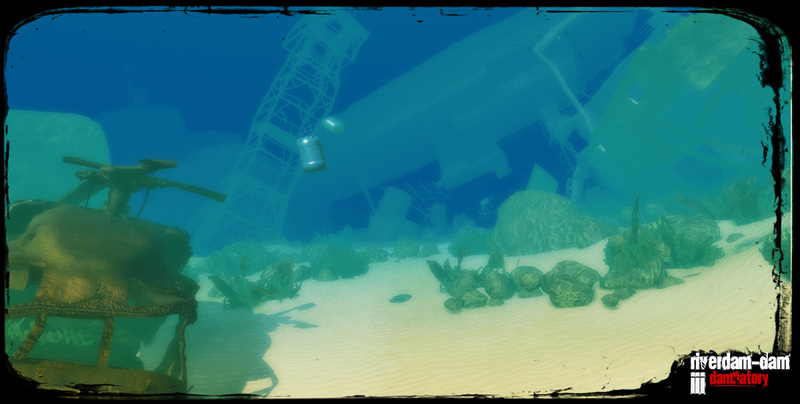 The player is immune to drowning and invisible to the sharks that lurk along the surface. This map creates a great feeling of isolation and defeat. 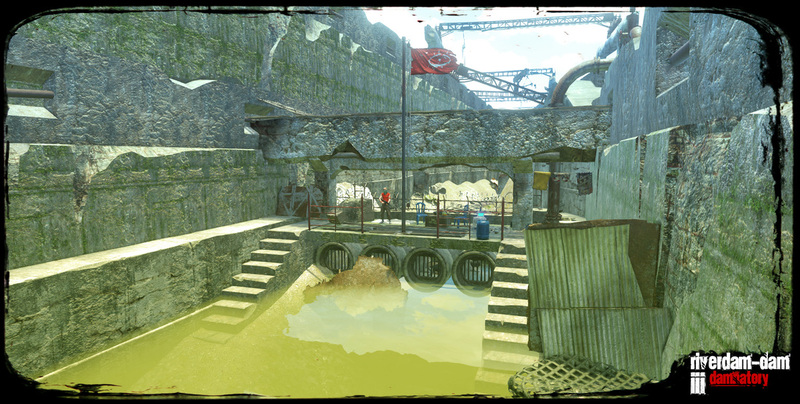 Guided only by the natural flow of the scenery and a trail of blue containers, the player seeks a new objective that would determine if the adventure continues. The player encounters no voices, enemies, audio logs, or environmental hazards. A full ten minutes underwater tells a great deal of story here. The underwater map was created without water first, allowing me to sculpt the terrain and layer structures that carved through it. It was on the chopping block for some time as I was not sure it would work without objectives. I had several people playtest it without any direction or instructions. 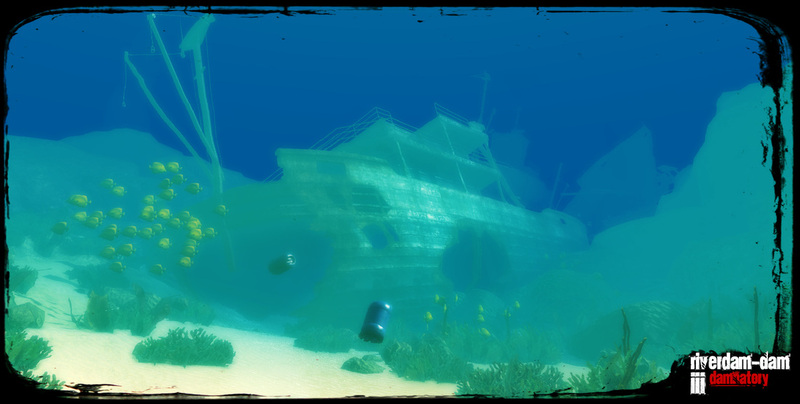 All players took a moment to take in the surroundings as the bodies of hostiles and allies slowly sunk into the depths of the sea. 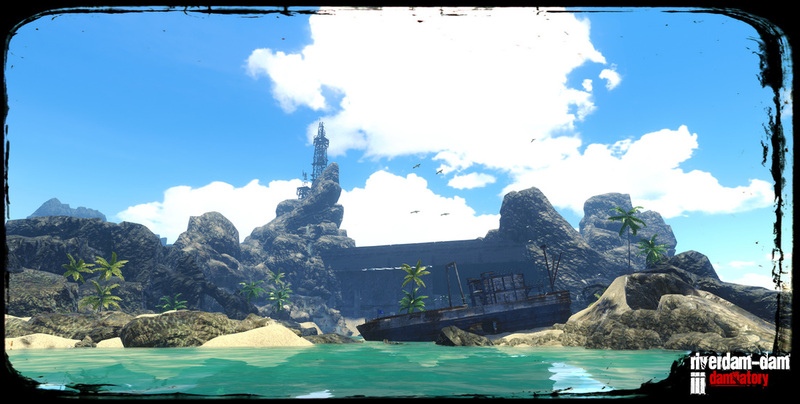 Ultimately, suspended blue containers that dropped from the player's vessel created a guide that was followed by all play testers and players alike. Scene extensions are very common in Riverdam-Dam. 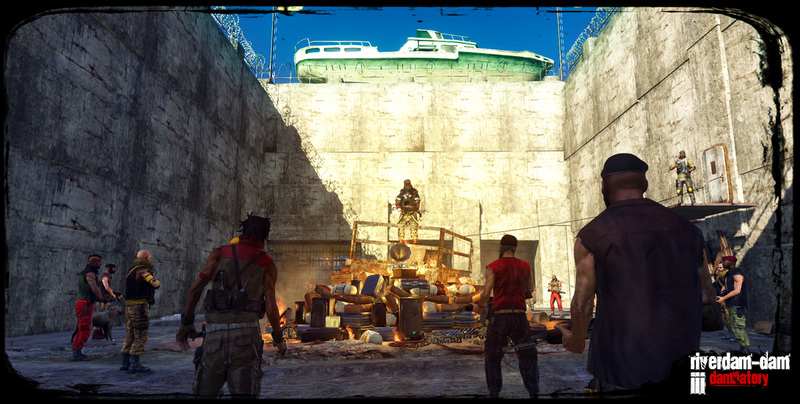 One particular map has hallways where the player can look off into a vast stretch of transported storage containers, fishing boat assembly lines complete with disembodied voices announcing the completion of a boat every few seconds, or garbage on its way to the incinerator from the first game that is thankfully never visited this time around. This is an example of visual foreshadowing of a later part of the game. 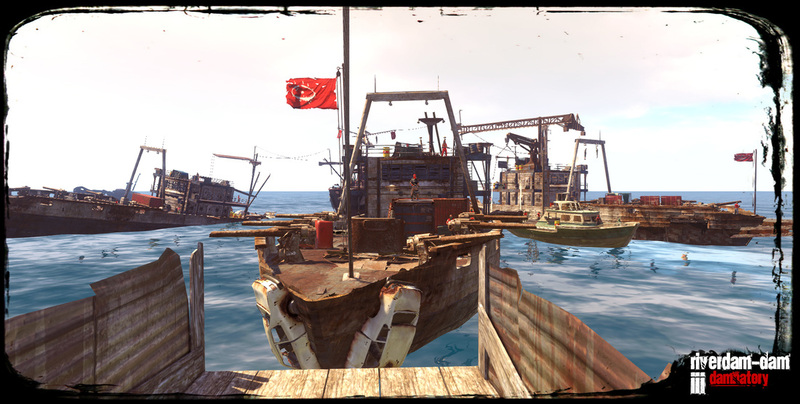 Beyond the character is a miniature construction of the dreaded Fishing Boat Factory, a symbol to the plot. It isn't until much later in the game that the player presses against an entire army defending the building. No stretch of level feels like a filler. Every platform, staircase, or tunnel has an interesting design. In most cases, there is some story attached to the setting, making each location important to the story. 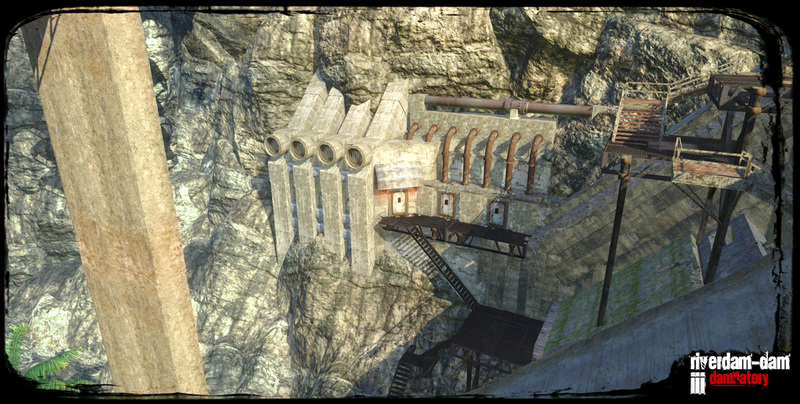 This structure is a facade built on the very edge of the map, appearing to be much larger than it really is. I layered the walls with assets in order of Level of Detail to ensure parts of it did not appear to vanish from a distance. 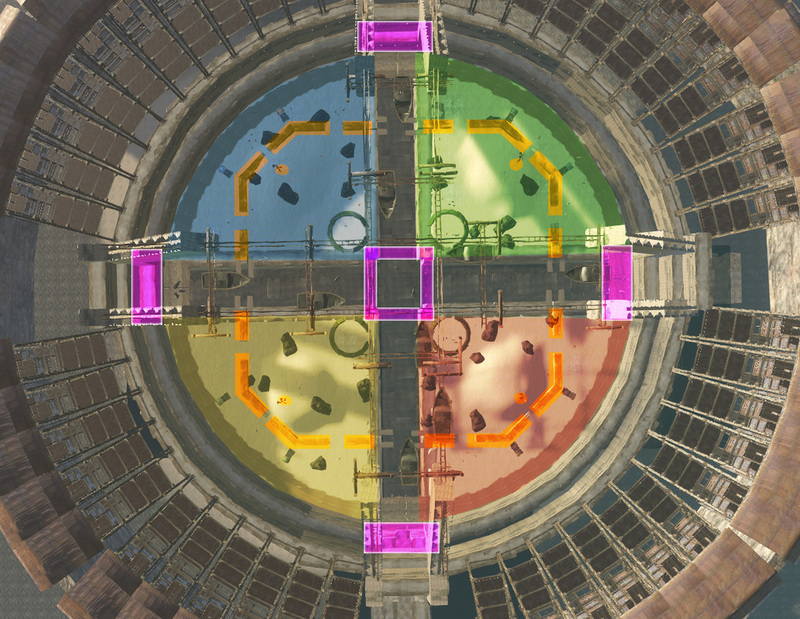 Perhaps the most memorable map for many, the arena was an unexpected mid-game plot twist offering a unique and replayable experience. 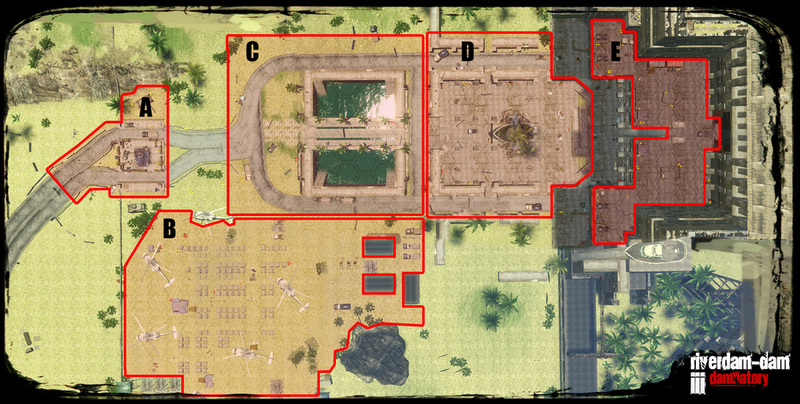 This map pitted the player against sixty-four gladiators of various significance. The battle plays out differently each time, allowing new and innovative approaches to being the last man standing. In a majority of cases, the player is forced to fight a highly glorified champion one-on-one, depending on a number of circumstances. The map is popular outside of the game's story as well. "One of the most memorable (and replayable) moments for me is when the player is forced to fight against dozens of enemies at once in a gladiatorial arena. I must confess, I found this level so fun that I spent an hour or three trying different strategies before moving on! Challenges range from from stealing weapons, climbing towers for an advantage, and trying not to fall in a pit full of alligators. If you survive, you usually find yourself face-to-face with a towering champion known as Thee Annihilator. The 64 arena contestants are of varied importance. Only the Annihilator and Invisibleman are characters that play a role in the story. Having a table of all the characters made the arena more exciting as they are all present during the conflict.